Coach: Led by Diana Furey. Diana is passionate about combating common stereotypes about aging populations and fitness abilities. Age is truly just a number. Trust us! The Legends Program is for ANYONE, regardless of fitness level. We welcome all ages 40 + (we really do mean this – even if you’re 90!). Our focus is functional fitness to improve your life outside of the gym. Using a combination of strength and skill training, short bouts of high intensity training, mobility, and fun! 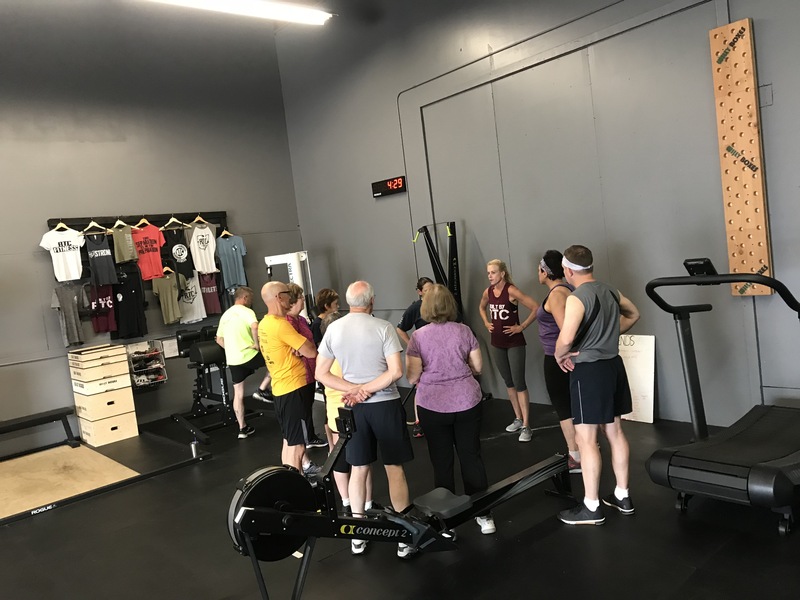 We modify workouts to meet individual needs and abilities & support one another in our fitness journeys. Legends Class currently meets 3 times per week. Email us for up to date class days and times and instructions on how to try your first class FREE!